The National Aboriginal and Torres Strait Islander Catholic Council (NATSICC) is focusing on finding new ways to support rural and regional communities to prevent youth suicide. The tragedy of youth suicide was a major subject of discussions at the recent NATSICC assembly in Perth, where more than 300 delegates gathered from throughout Australia to explore the theme “Strong Faith – Strong Youth – Strong Future”. NATSICC national youth councillor Sabrina-Ann Stevens, from Cairns in Far North Queensland, said youth suicide was a major issue within regional and remote communities. The suicide rate of Aboriginal and Torres Strait Islander peoples is more than twice that of non-Indigenous Australians. National statistics also show that Indigenous people tend to take their own lives at a younger age, with the majority of deaths occurring before 35. 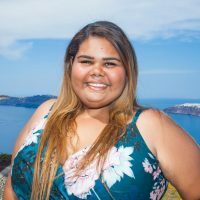 “The delegation at the assembly shared the view that the issue of youth suicide is one of the most important challenges facing Aboriginal and Torres Strait Islander communities in Australia today,” 27-year-old Miss Stevens said. “There are many other organisations such as Headspace and Centacare that offer excellent programs, along with Mental Health Services run by Aboriginal and Torres Strait Islander groups outside of the Catholic sphere. “But many elders are asking me for ideas on how we can get our young people involved in the Church so that they have a sense of belonging and to create a greater sense of community. “Unemployment and the general high expense of living outside of a major city or regional town isolates many youths. There’s a sense of hopelessness if there’s limited jobs. “Within the youth section of NATSICC, we already have a national connection between different communities and we can help to empower other youths, especially from our talks at the assembly. Broome Bishop Christopher Saunders, who is a consultant to the Bishops Commission for Relations with Aboriginal and Torres Strait Islander Peoples, has been a part of the Kimberley community for more than 40 years. He has seen the rise of youth suicide. “We have had a considerable problem. As to why there is such a terrible rate of youth suicide in Australia and in remote Australia, this is extremely complex,” he said. Bishop Saunders said contributing factors include: a loss of identity; Aboriginal youth being subject to a post-colonial society; the devaluing of the worth of the family, with personal trauma adding to the instability of youths; a high rate of drug and alcohol abuse; and resultant psychological illness and depression. Building spiritual and faith-based connections in communities was one part of the answer to breaking the cycle, Bishop Saunders said. “The Gospels are all about love and prayer and forgiveness. It’s these three things that everyone needs,” he said. Miss Stevens has recently been elected for a further three years as national NATSICC ambassador and is keen to highlight the issue. “We’d like to find ways to work closer with existing services and support services to improve youth mental health and wellbeing throughout Australia, but focus on remote and regional Aboriginal communities where there is real need for help,” she said. “At the assembly in Perth, we heard from communities where there are a lot of young people taking their lives and they are getting younger and younger – the youngest person affected by youth suicide was only 12 years old. We really need to act now, to give young people the hope and community they need. “NATSICC was the only place that I found I could live out my faith through my culture and that has kept me on the path that I have now. “The 2018 NATSICC council will be meeting to form a strategic plan for the next three years and this issue will form an important and crucial aspect of this planning. What Works 4 u: WhatWorks4u.org enables young people to share what treatments have worked for their mental health difficulties and learn what treatments other young people have reported as helpful. Whatworks4u hopes to increase awareness of treatment options and inform treatment decisions based on what has worked for similar young people. Lifeline – 13 11 14 (cost of a local call) www.lifeline.org.au www.lifeline.org.au/find_help/info_service provides access to a variety of self-help tool kits with information about issues such as mental illness, depression, panic attacks, suicide prevention etc. www.lifeline.org.au/find_help/service_finder is a comprehensive online national database of low cost or free health and community services offered throughout Australia. Beyondblue Support Service – 1300 22 4636. All calls and chats are one-on-one with a trained mental health professional, and completely confidential. Although we may ask for your first name and some general details, you can let us know if you’d like to remain anonymous. Headspace – www.headspace.org.au Go to the website to find information, support and help near you. The National Youth Mental Health Foundation offers a comprehensive website and one-stop-shop services that are youth-specific, and therefore youth-friendly. Headspace employs a range of different health workers and programs with a focus on the needs of young people. These include; GPs, psychologists, alcohol and drug workers, as well as education and employment programs. The Healing Foundation is a national Aboriginal and Torres Strait Islander organisation that partners with communities to address the ongoing trauma caused by actions like the forced removal of children from their families. The Healing Foundation works with communities to create a place of safety, providing an environment for Stolen Generation members and their families to speak for themselves, tell their own stories and be in charge of their own healing. Phone: (02) 6124 4400. E: info@healingfoundation.org.au. This entry was posted in Uncategorized on November 20, 2018 by ACBC Communications.